One of the easiest fruits to freeze, all you basically need to do for storing bananas is to peel them and toss them in the freezer. 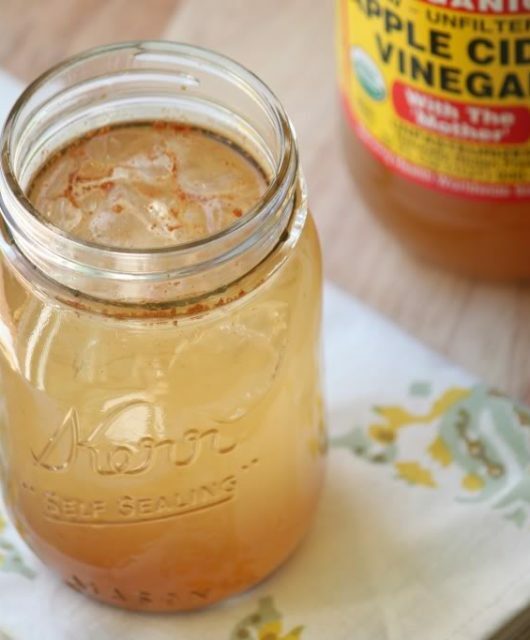 The methods might vary a little depending on how you are freezing them, though they remain good for using later for baking, in smoothies, ice creams, and any other preparation. 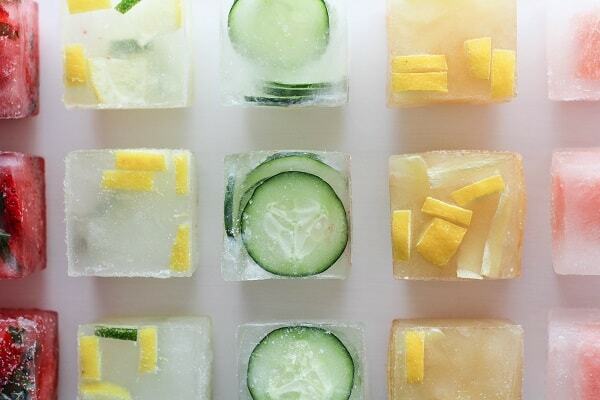 It is the simplest and fastest way to freeze them. 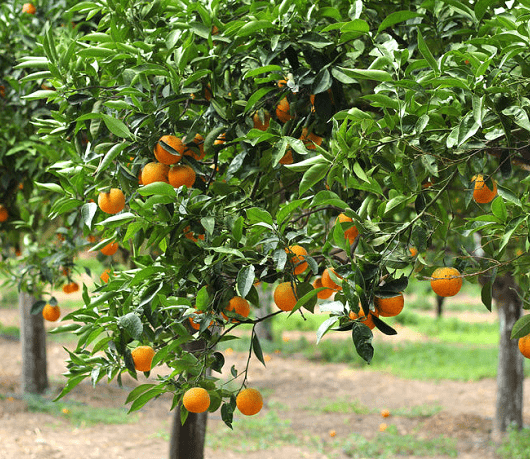 Just peel the fruit carefully, without poking them, place them in airtight freezer bags, and freeze. You can cut them in halves if that is more convenient. Place no more than 3 bananas in each standard-sized bag. You can also flash freeze whole bananas for a couple of hours before storing them in freezer bags to keep them from clumping together. Some people prefer wrapping each fruit individually in aluminum foil or wax paper before putting them in the freezer bag so they are frozen individually. 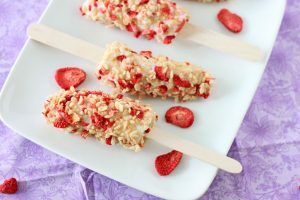 Note: You can make simple banana popsicles by inserting a poposicle stick into the end of banana halves, dipping them into nutella, peanut butter, or melted chocolate, then rolling them in you preferred sprinkler (chopped straberries, nuts, chocolate chips etc.) and freezing. It is possible to freeze them whole unpeeled, but a lot of people believe it to reduce the shelf life as leaving the skin on diminishes the quality of the frozen banana. Additionally, the peel becomes soft and dark when frozen, making it difficult to remove when you want to use the flesh. So, it is strongly recommended to remove the peel completely before freezing, to make it easier for yourself in the future. 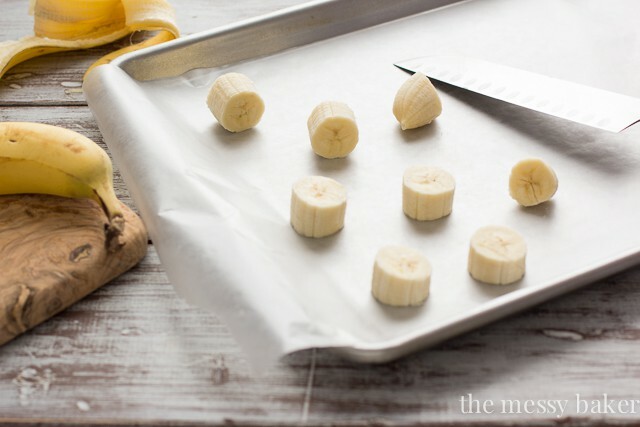 Slicing or chopping them before freezing makes it easier to handle the frozen bananas, and you can still use them for anything you want. 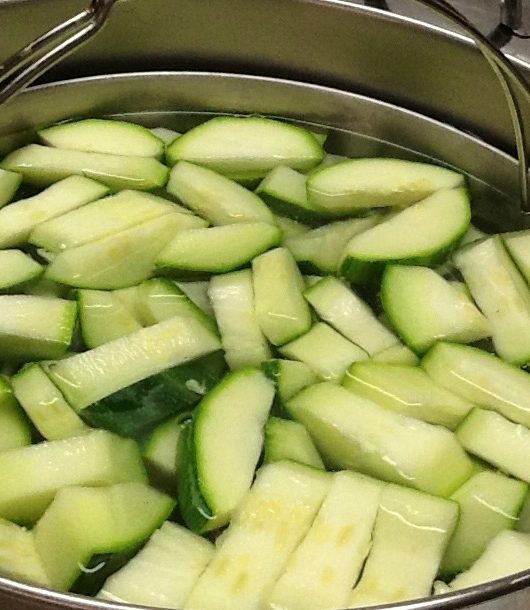 Peel, and cut them into roughly ½ inch thick slices. 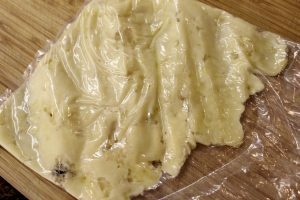 Line a baking sheet with wax paper, and place the slices in a single layer in a way that they are touching each other as little as possible. Place the tray in the freezer for around 2 hours, until the slices become solid. Take them out and transfer the slices into a large freezer bag or glass container, label with the date, and place them back in the freezer. You can simply use the slices for eating as a snack later, or add them as they are to a fruit salad. Note: You may skip the flash freezing step if you don’t mind the slices congealing together, especially since they are still likey to stick together a little even after following that additional step. If you already know that you are going to use your bananas mashed, like for banana bread or cookies, then you can prepare them and then freeze to be able to use them quickly. This is also a good way of storing overripe bananas before they go bad. Again start with peeling, and chopping the fruit into small chunks. Use a food processor to mash it smoothly. You can also use a potato masher if you want it to have small chunks. 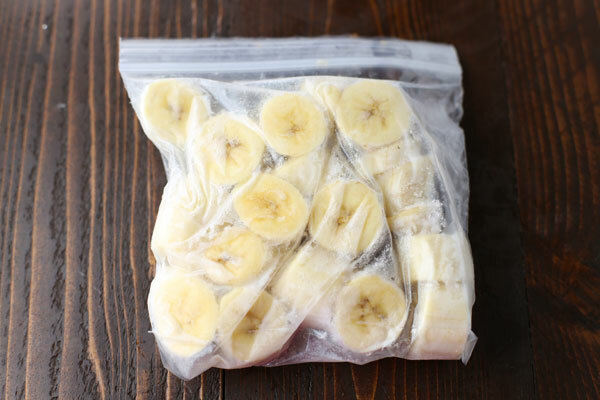 Put the pureed bananas into zip-lock bags or an airtight glass jar. 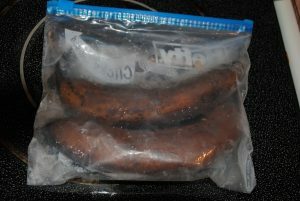 Make sure to get rid of any excess air from the bags, and flatten them a little and store in the freezer. 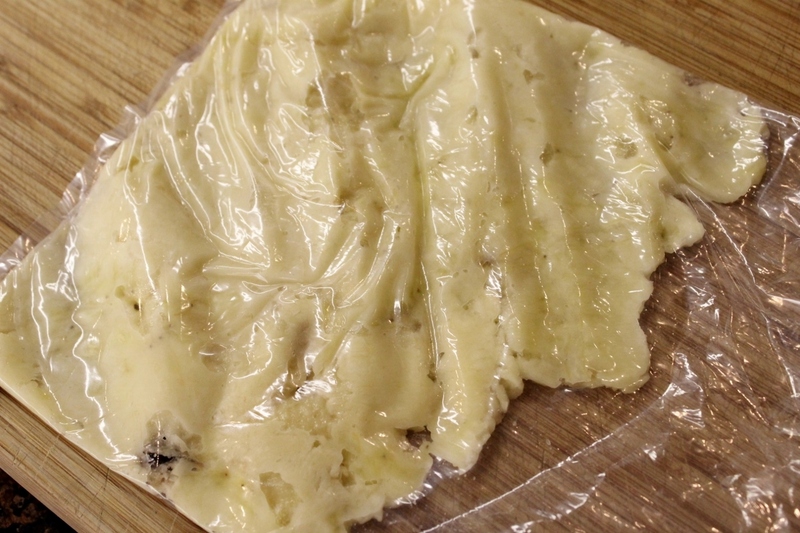 Flattening the freezer bags makes it easier to take out the frozen mashed content, as freezing it in a lump may make it difficult to cut through. You can store banana puree in this manner for baby food, but do not keep it for more than 2-3 days for this purpose. For a smoothie or milkshake, you can add the frozen bananas into the blender directly from the freezer bag. If making bread or muffins, take as much as you want to use out of the freezer bag, place them in a bowl, and keep in the refrigerator for a few hours till they thaw to the original consistency. 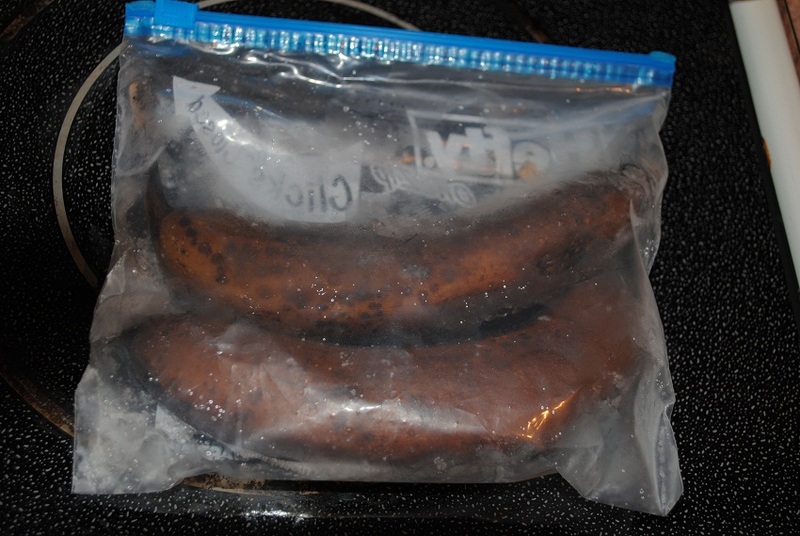 You can store frozen bananas for up to 6 months, but it is better to use them within 3-4 months. For unpeeled frozen bananas, the shelf life comes down to just 2 months. The most notable nutrient in this fruit is potassium, with a large banana containing around 450mg of the essential mineral. Freezing the fresh fruit at home does not have any effect on its potassium content, keeping them equally safe and nutritious after thawing. However, it is not the same if you are buying them frozen from the store. 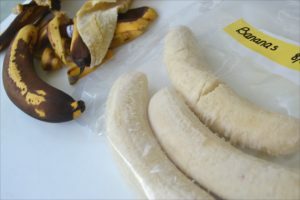 Commercially frozen bananas are blanched first (putting them in boiling water for 30 seconds and then plunging in cold water) for increasing their shelf life. 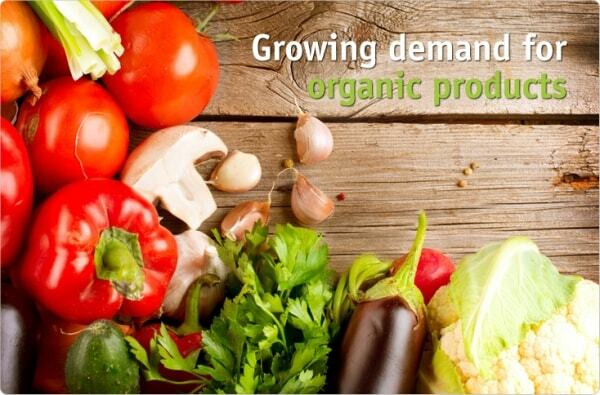 This method causes the potassium content to decline considerably.